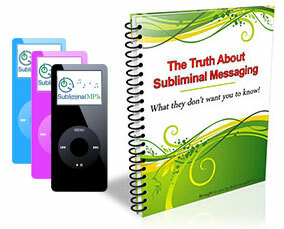 Train your brain and achieve exam success with the power of subliminal messages. Do you get nervous as the exams approach? Do you usually think that there's no chance that you'll pass the exam? Would you like to perform better on exams, to lose the stress and to be able to actually enjoy the whole process? Exams are stressful, no doubt about it - but they're just as stressful to you as they are to another student who still manages to pass them effortlessly. You know who that student is - the one who enjoys studying, who always has the best answers and whose grades are excellent. You don't have to become a geek to become a better student, if that's what frightens you. You probably know of some pretty cool guys and girls who are still passing their exams without much effort. The difference that you have to make however is in the way your mind feels about the exams. Right now it's programmed to see them as a chore, as something that it's too difficult for you, and it resists to your efforts to fully employ your learning potentials - because, in your mind's eye, you're going to fail anyway. So it's no use to study, it's better to do something else with your time - or to think of doing something else. You do understand that this kind of thinking will get you nowhere, but you're still unable to change it - because it's a thought pattern that's engraved deep in your subconscious. You can't just decide to think differently, you need to change an entire part of your belief system. Change your beliefs about your ability to pass exams. When you think that you can't do something - you probably can't. It's the same when you strongly believe that you can do something - when you are certain of your ability to pass an exam, you become driven to do whatever you can to make it true. Improve your general level of concentration. As your mind gradually accepts that you're actually quite able of passing, it will stop resisting and sending other thoughts to distract you. Instead, it will be focused to the task at hands - studying, and you'll soon notice how now that you aren't resisting, studying can actually be quite enjoyable. Make you driven to succeed. As the result of your improved self confidence you will become driven to study - it won't be a chore anymore but something you should do to get good results. You will want to get the highest grades possible and to improve yourself - and it will all happen naturally. Download this album today and give yourself the best chance possible of doing well in your exams!